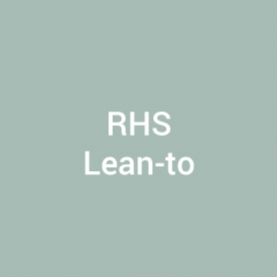 The RHS Lean-to greenhouse is the perfect sun trap, the warmth of the sun warming not only the air but also the internal wall which holds the heat for hours after the sun’s departure. Developed from 17th century Dutch forcing frames, the lean-to in its grandest form became a promenade for the gentry as they grew more and more exotic plants and fruits. 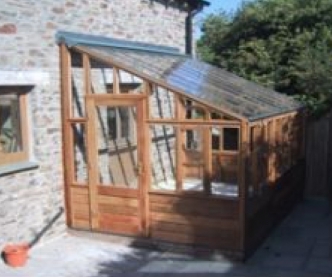 The RHS Greenhouse range includes a lean-to greenhouse which may be placed on a low wall matching your property or with its cedar cladding, to retain warmth. You will need a high wall at the rear, preferably south facing and as with the vinehouse they are suitable for peach trees, climbing plants and many shade loving plants. One big advantage of the lean-to greenhouse is that you can connect it to your home by means of a communicating door.